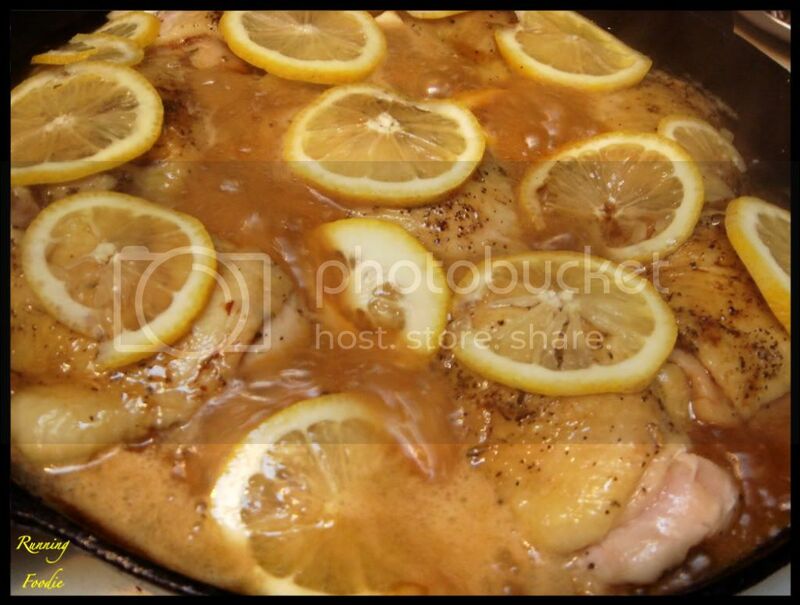 A while back, I saw Gordon Ramsay make sticky lemon chicken on the Rachael Ray show. 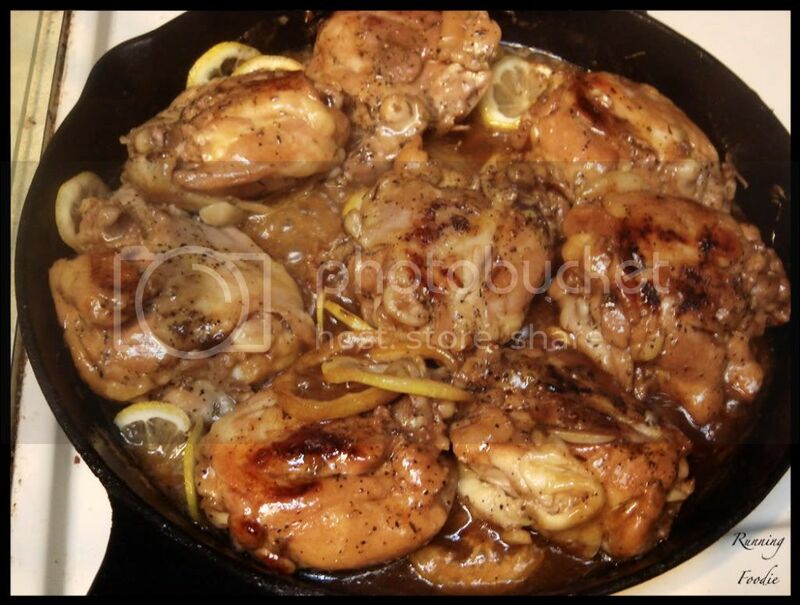 It looked pretty good, and seemed like a simple way to make lemon chicken with a twist. The recipe comes from his latest cookbook, Gordon Ramsay's Fast Food. The main flavors came from lemon, soy sauce, and thyme. I usually put thyme in my roux for chicken pot pie, but never have paired it with soy sauce. It seemed to work, as I enjoyed it. Thinking of the cooking process again, I made two mistakes: I didn't allow the chicken to brown enough, and I didn't cook down the sauce enough. For whatever reason, sauces like these seems to take longer than the directions state to cook down to the proper consistency. I needed to have just raised the heat and kept cooking it down. 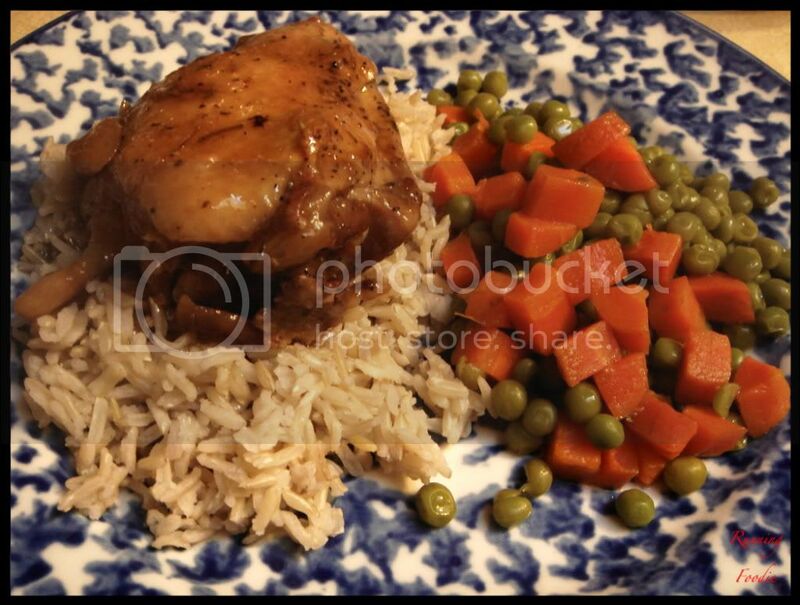 The chicken was served with brown basmati rice and carrots and peas. In Ramsay's book he suggests serving it alongside mashed potatoes, but it was pointed out to me that potatoes with anything that has soy sauce is odd. Dessert was strawberry shortcake. 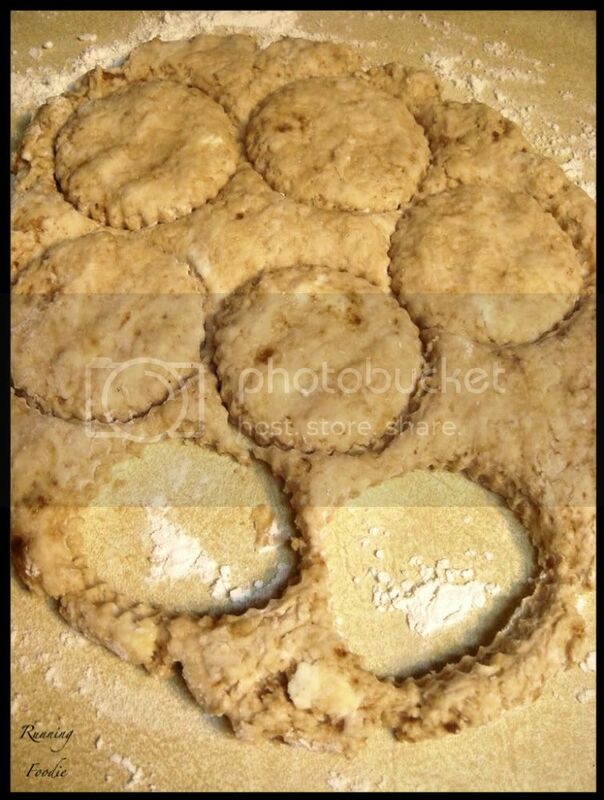 I didn't have a really good sweet biscuit/scone recipe, so enter Google. 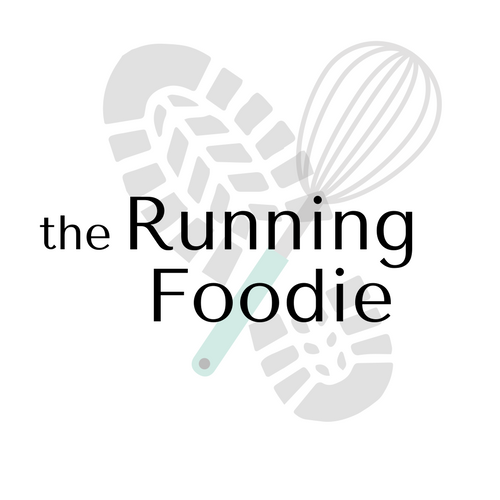 The brief search lead me to Joy of Baking, which I frequently read (and yet have not added to my blogroll... Until now.) 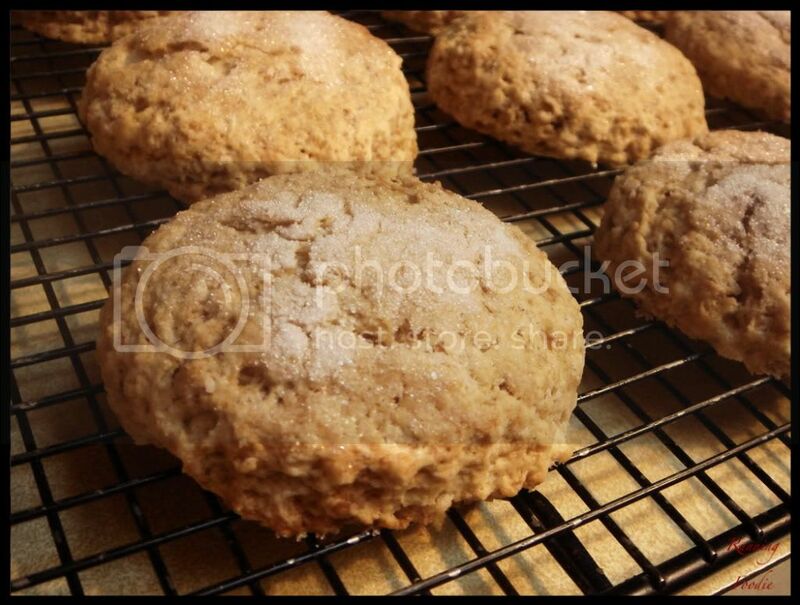 I liked that it was a scone instead of a sweet biscuit, and after looking through the recipe I was fairly certain the scone would be soft in texture. I made a few changes to the scone recipe, using buttermilk in place of the cream, replacing 1/2 teaspoon of baking powder with baking soda, and using brown sugar instead of white sugar. The dough was a bit tacky, so I added 2 tablespoons of extra flour and worked quickly while patting and cutting the dough. Keep the surface well-floured, too. During the past month of June I have been training for another 10K that's coming up soon this month. My mileage has been upped a bit, and the intensity is also a bit higher than previously. The goal for this 10K is to run it under 55 minutes. If I keep pacing myself correctly, that will be attainable because I'll, of course, have more energy during the latter portion of the race than if I screw up the pace at the beginning. What a great feast. The chicken sounds amazing. Adam - Yeah, knowing that orange and soy sauce paired well, lemon would, too. Heh, that's one of the oldest running cliches! Hendria - Thanks for reading! The dessert was great. In fact, I made it for our 4th of July dessert. I love your last picture! It's beautiful. The chicken and the scone look delicious. Oh, and I like Joy of Baking too. Great chicken dish - love chicken. 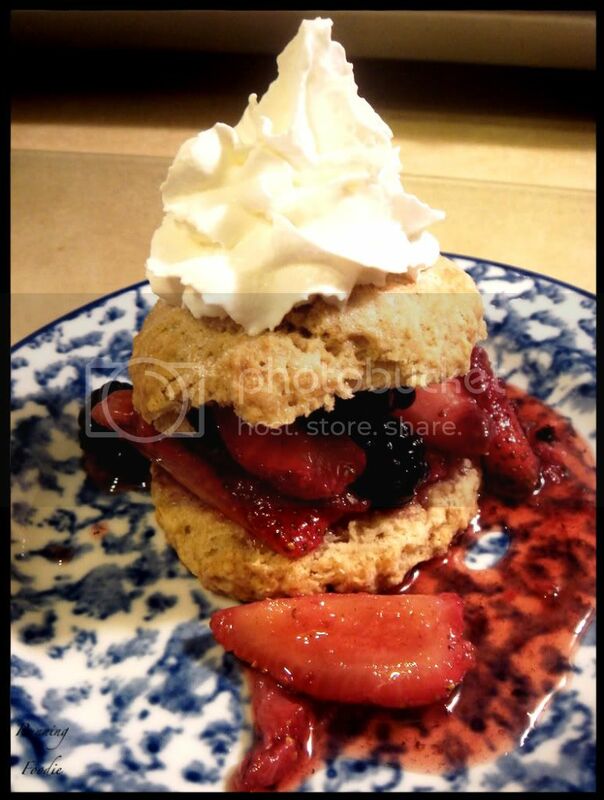 The shortcake looks scrumptious, too! That chicken looked so good I had to make it myself! it was amazing, thanks! I would definitely gain too much weight if I let you cook for me. Strawberry Short Cake happens to be my all time favorite dessert, the scones look addicting as well.